Under Bloomberg billions of tax payer dollars abused, stolen and mostly tech but 3 billion -- that would be 2 billion 3 million 911 Tech and CityTime close to 800 million exposed by pencils...ironic huh? I do not buy their B/S"
Please read the above link and learn how I was forced against my will to drop assault charges by Det. John Vergona and I looked up the United Nations definition of torture and in my opinion Det. John Vergona's plan to hold me in jail for a weekend with severe injuries from the savage assault by Dr. Andrew Fagelman's receptionist including Vergona knowing I have a collapsed bladder not from the assault -- he knowingly used a false cross complaint and he want to inflict as much suffering and pain as possible. Ask the mayoral candidates about ECTP 911 Tech corruption and CityTime. ps Isn't that Lt. handsome -- better looking than Patrick Stewart and so clever violating my first amendment rights without violating my body but moving me away from Bloomberg. ON MANNERS - I am no Mr. Manners. All I can do is aspire to be half the gentleman my father was and exhibit some of the extraordinary love my mother had for animals and children and then maybe I am qualified to tell you that true character is a function of how you treat the most vulnerable in society whether its women, the elderly, the sick, disadvantaged groups, animals (who have people make decisions for them) and the poor. Hence if you become Mayor or the Speaker of the City Council and you use your exalted position to fortify further the positions of the already over secure, to the exclusion of all else, let me tell you, you have absolutely no manners or character and I will challenge your ascension to any leadership role in our society. Truth be told, as passionate as I am against the attempt to INSTALL Chris Quinn as the next Mayor, I am rather late to the fight. But I know as a New Yorkers who was born and raised in three of NYC's 5 Boroughs that regardless of who you support, please let it be ABQ - Anybody But Quinn. PLEASE JOIN THE FIGHT AGAINST CHRISTINE QUINN: Make no mistake, the Anti-Quinn movement is a diverse mainstream movement of Real New Yorkers united against the installation of a corrupt political opportunist with an anti-democratic agenda; a veritable political charlatan who masks/camouflages her deception in identity politics. You see having a "Gay Woman" Mayor is the perfect front for the dark forces that bought and own her. Moving towards 12,000 views and why haven't the NYPD arrested her. Why was I forced against my will by corrupt detectives to drop the charges with thus video, photos of defensive wounds and why hasn't Internal Affairs notify the 01 Precinct to make the arrest of Delita Hooks for assault and a false cross complaint yet. Did Dr Fagelman pick up the phone and ask for some fixing and favors? How much money do tax payers pay for CCRB, Internal Affairs and NYC gov commission to combat police corruption when their results are shameful and IAB moves with the speed of a turtle in molasses versus the speed of how fast corrupt cops and Internal Affaus deposit their pay checks. In do many words the woman Internal Affairs police officer in my opinion unwilling to investigate violent assault and the fact I was forced against my will to drop charges because of the severity of my wounds and a 4 day delay on a false array for a weekend stay with a hole in my retina retina detachment, cervical spine injury and neck brace and not from the attack Det Vergona knew I have a collapsed bladder from fibroid tumors making a weekend stay more than a hardship but dangerous unless corrupt evil Vergona agreed to move me to a hospital to be handcuffed to a bed with a bed pan. Why are the NYPD and Internal Affairs Protecting Dr Fagelman and Delita Hooks? We have several events coming up that we hope you can participate in. Monday, June 3, 10:00-11:30 AM come testify at City Council Budget Hearings, Committee on Cultural Affairs and Libraries, Council Chambers, City Hall, arrive early! Also contact Head of Committee Jimmy Van Brammer prior to the meeting or if you can't come to let him know about what is happening to your library, (718) 383-9566, creiter@council.nyc.gov. He needs to know about mysterious library closings due to AC problems and other concerns. On Saturday June 15, along with Lynn's Kids International we are having a Kids For Libraries Rally in front of the Brooklyn Heights Library, 280 Cadman Plaza, from 11:00 until 1:00. Bring your kids and a book or blanket, invite teens and college students. Well bring balloons and signs to raise awareness about the sell offs for luxury housing. The 42st library, the greatest research library in the world, a crown jewel of the city will no longer service the scholars from around the world as it has. The historic seven-story book stacks are about to be demolished and 1.5 million books will be shipped off to remote storage in New Jersey, increasing the time it will take to retrieve them from minutes to days. We owe it to those who built this magnificent library as well as to Andrew Carniege who built the Pacific Library as well as many others, to defend and protect these resources. What is a more obvious theft of democracy than that? Canvass your building or neighborhood, contact Eric Schtob, eshtob@gmail.com, he can email you petitions and flyers. Does anyone have connections to art galleries? We would like to see an art show of Simon Verity's 80 works of art about the libraries and Mark Hurwitt's cartoons, contact me in response to this email. It is easy to become hopeless about all the services that are being sold off now, supporting each other and doing something about it is the best way to bring back the hope and courage. A retired NYPD officer says a cops should be held to a higher standard. FYI: The First Precinct Det Squad, DI Winski, Commissioner Kelly's Office, Chief Esposito, Lt. Angelo Burgos, DI Ed Winski would not give me the badge numbers of Sgt. Chen and Det. John Vergona. I am still in shock from all of this and having problems with my eye as well as neck pain and have to see the retina surgeon again Wednesday because of the scar tissue on my retina… I never was allowed to talk to the ADA. I was not allowed to report Delita Hooks filed a false cross complaint. FYI: He is a retired NYPD officer and he says a cop should be held to a higher standard. The PBA NYPD delegate that was beating up people.... this retired cop sent him to jail. He also caught a NYPD cop that raped a teenage girl. He says he did not care if he was filmed and he had no problem giving his badge number. 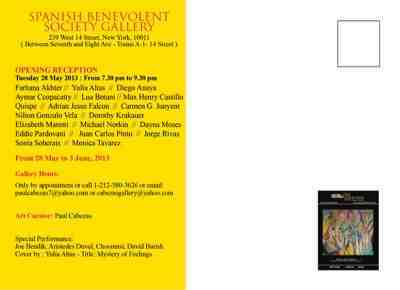 Eddie Pardovani Spanish Benevolent Society First Art Opening! Thanks and Blessings. So proud of Eddie! I met Eddie at Apple Computer 14th Street. He showed me his powerful photos that celebrate Joy, Dance and NYC life in an upbeat way. I asked if he had a blog. He didn't so I taught him how. By giving a talented me a small amount of my time I helped empower him. and was lied about as well as seriously injured. 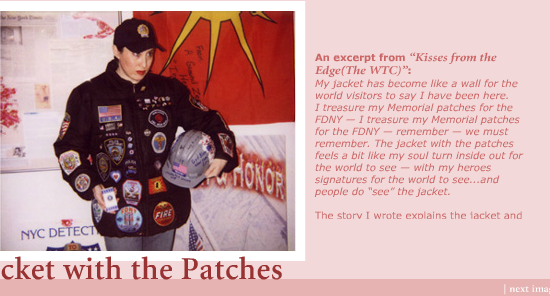 including by NYPD so Eddie's kind words mean a lot. Eddie is together unlike Giuseppi Logan but I recognized talent in both of them. article which also acknowledges my YouTube Documentary and good deeds. exit and violently gave me the finger. I tell you about the NYPD fixing the crime. NYPD Stats Like a Las Vegas Casino the fix is in. although they seem incapable of shame. 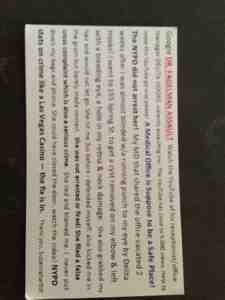 The card asks for assistance making the video viral. is arrested for assault and false cross complaint. assaulted where is the arrest. lied to me about me. taken to the streets of NYC. Cy Vance Loses Endorsement of East Side Democratic Club! There is a little Justice in this world because Cy one term Cy is a crum for countless reasons him having another term a crime!!!! Glad to hear Cy Vance has no one running against him and he lost an important endorsement!!! CityTime Trial Delay Delay Delay Good For Bloomberg Quinn Allens Returning? 9-11 911 Failure Sept 11 Fast Forward to Now 911 Tech Corruption 2 billion 3 million dollar Tax Payer Titanic CityTime 2 --- follow the money trail....one year anniversary of John Liu's press release of an audit of ECTP 911 Tech system calling for criminal investigation.... no criminal investigation by Cy Vance yet and US Attorney Preet Bharara has not come and taken it as he should have. Reminder Rudy who made his myth of a 9-11 Hero in to 30 million dollar personal fortune had 11 years to move the Emergency Command Center and he didn't. I had drawn a little red heart over "Detectives"
in a violent assault that almost left me blind in my left eye. behalf of the NYPD again. this trying to figure out how keep a lid on this corruption? over the phone and I said no! when they couldn't understand which eye was the bloodied one. to interview everybody as Vergona has promised and never did. of the assault was something. was told to turn herself in. arrest http://youtu.be/dh9TedhfthE and I would sue him. have to wait 4 days until Saturday. Det Vergona are you anti-Semitic? Det John Vergona did not answer me. I never even got a detention in High School. arrest because Vergona knew what I said was true...? false arrest and I would sue him. "Det John Vergona Delita Hooks Assault false cross complaint no arrest"
but Winksi was not interested in even responding. Burgos and Burgos never responded at all. the museum wanted to interview me. false arrests me Saturday Oct. 20th. a brace and my vision was a mess. have an NYPD maybe even IAB hook? Hook NYPD lingo for a special friend. I looked up Vergona's salary. prevented from reporting a crime...Delita Hooks filed a false cross complaint. all agree video proves I was assaulted. crime a false cross complaint. Thanks to the good NYPD. wanted to teach me a lesson. Well he did. I learned it isn't so. The NYHRC and I refused his money. to find an ounce of Integrity. and lived it no more paying. Charles Hynes Bad Mojo TV Show Emails Vito Lopez? CityTime Crime Update Barry Bohrer Drops a Bomb! George Artz Ravenous For Money and Power?